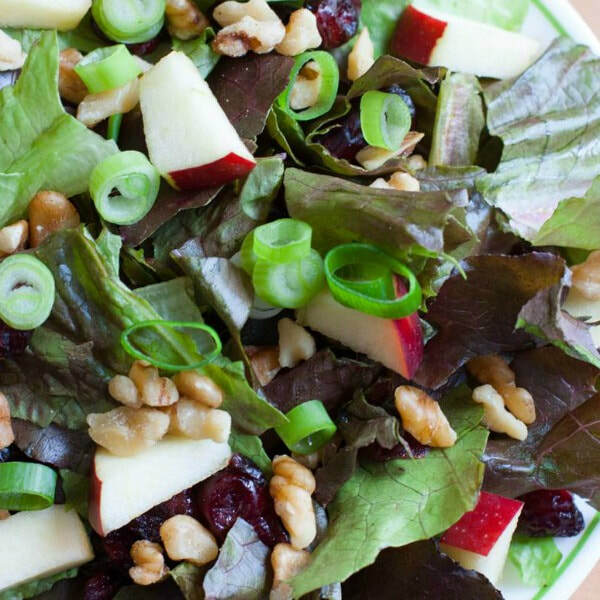 This Apple Cranberry Salad is perfect for any time of year. It provides one full serving of fruits AND veggies. The fruit gives a little bit of sweetness, while the nuts give it crunch. This would be great with a balsamic or honey mustard dressing. Top it with some chicken or salmon to make it a meal. Toss lettuce, apples, walnuts, cranberries, and onions in large bowl. Add dressing and toss to coat. Serve immediately.